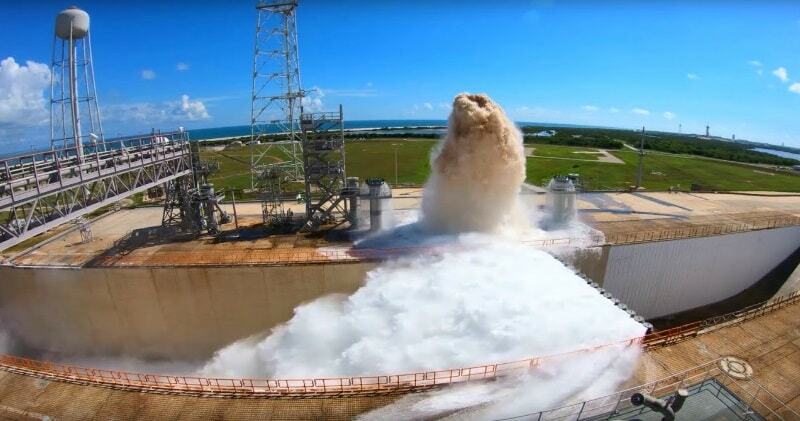 This system is used to reduce extreme heat and energy generated by a rocket launch.On Oct. 15, 2018, the Ignition Overpressure Protection and Sound Suppression water deluge system at Kennedy Space Center’s Launch Pad 39B was tested, sending water about 100 feet in the air. The test is part of preparation for launching our Space Launch System rocket on Exploration Mission-1 and subsequent missions. Modifications were made to the pad after a previous wet flow test, increasing the performance of the system. During launch, this water deluge system will release approximately 450,000 gallons of water across the mobile launcher and Flame Deflector.